It’s time to stop hibernating with your cocktail. The outdoor drinking landscape looks a little different than the last time you were basking in the sun with a spritz. These rooftops and patios are ready now that spring is here. 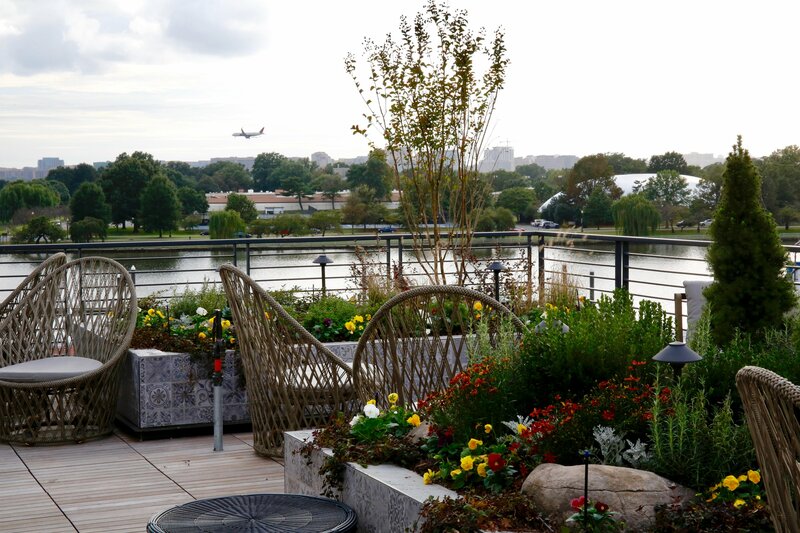 The Eaton hotel boasts a K Street address, but the botanical-chic rooftop feels more Miami (especially on DJ nights). The window-walled interior is filled with lounge furniture and plants, bringing the outdoors in, while an al fresco terrace boasts fire pits with “s’mores service.” Try a refreshing cocktail like the “Imagine” (tequila, celery, apple, celery-ancho salt) alongside chef Tim Ma’s taco menu. We’ve snuck in a negroni here on the odd warmish day thanks to fire pits and blankets that keep chef Nick Stefanelli‘s gorgeous Italian rooftop toasty. 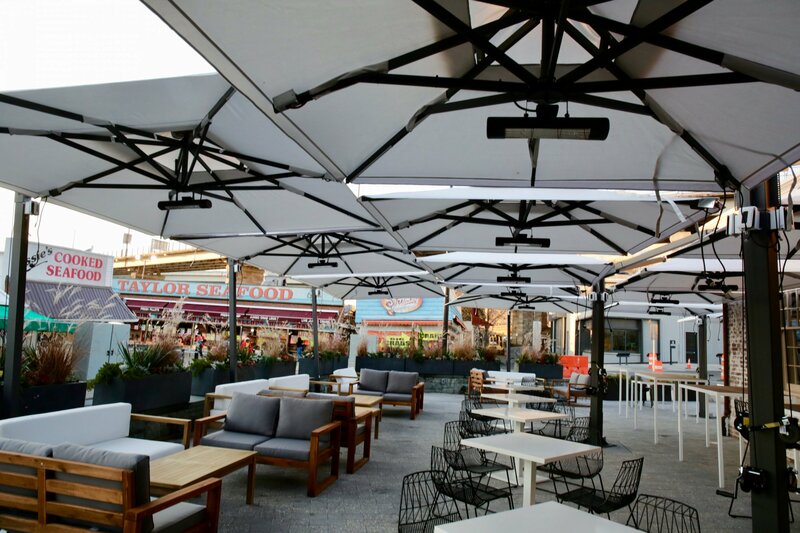 Now that it’s really terrazza weather, get ready to lounge with an Aperol spritz overlooking the water amid pretty greenery and pretty people. Noma’s huge new brewery neighboring REI has a rustic, outdoorsy look inside and a patio outside in warm weather. In addition to fresh-brewed beers, you’ll find plenty of activities at the inclusive place, which bills itself as DC’s only all-gay-owned-and-operated brewery. Check out 100-plus board games, Saturday yoga, or a burlesque party. Jack Walten and Jack Maher aboard their Potomac Paddle Pub. Photo courtesy Potomac Paddle Pub. There’s drinking by the water, and then there’s drinking on the water. 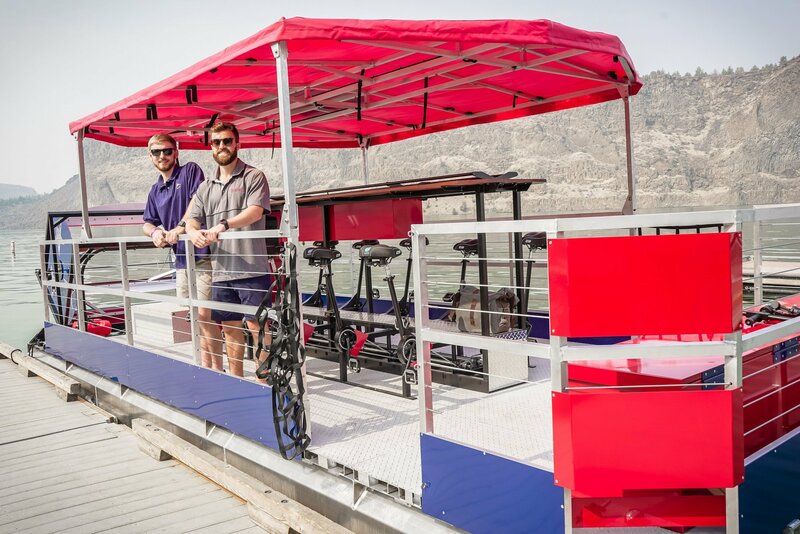 DC’s one-and-only BYOB paddle boat pub has launched its first full warm weather season. The 16-passenger boat is available for ticketed 90-minute cruises out of the Georgetown Harbor; prices and times vary. The captains provide coolers with ice so you can bring wine, beer, and food (no hard alcohol). Rappahannock’s new Wharf location, housed in a historic oyster shed, is cozy inside with room for less than 30 at the bar. Warm weather more than doubles its size thanks to a 90-set patio overlooking the river and market—perfect for oysters, fried seafood baskets, and crisp white wines. Park View has a retro new pizza parlor and neighboring cocktail bar/garden thanks to the owners of Colony Club. Rectangular pan pies are the name of the food game, while you can head to No Kisses for all your spritz needs. The big outdoor garden is outfitted with a window to order from the pizza parlor if you’re peckish. A vintage milk truck will transform into a bar with beers, wines, and batch cocktails beginning in May. Drink rum in the sun at Tiki TNT. Photo courtesy Tiki TNT. Grab a spiced rum-and-Coke slushy and hit the deck of Todd Thrasher’s rum distillery/tiki bar at the Wharf. 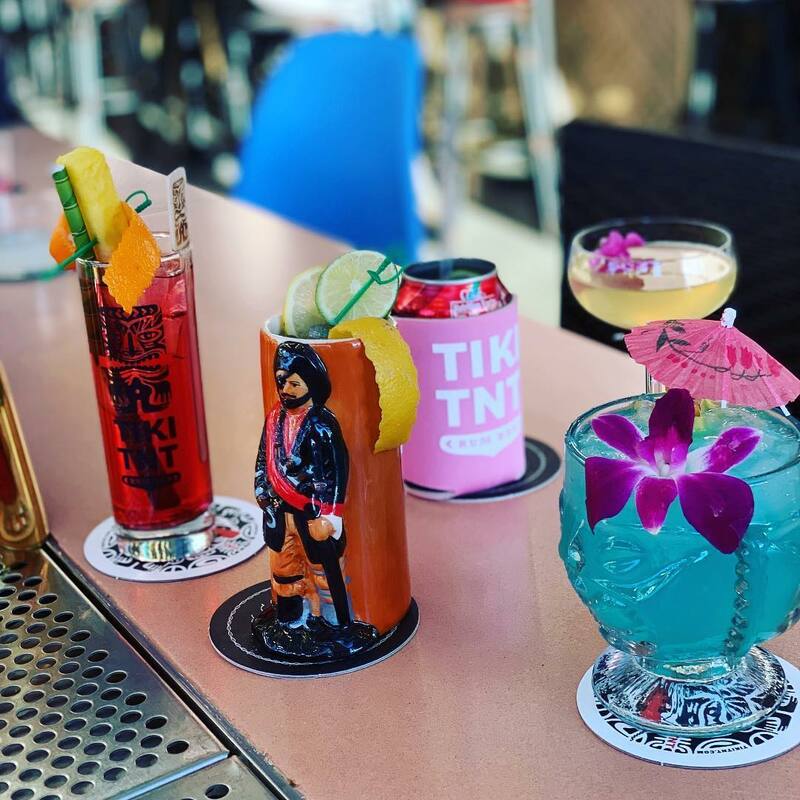 As of now, a few prime outdoor seats circle the bar, but look for a big tiki roof deck to debut mid-April for outdoor mai tais and tropical fare. Shaw’s new spot for Japanophiles has a lot going on: sushi, yakitori, 80-plus sakes, Japanese cocktails, late-night karaoke, and luxe omakase menus—all from the team behind nearby Chaplin’s and chef Minoru Ogawa (Sushi Ogawa, Mandarin Oriental). 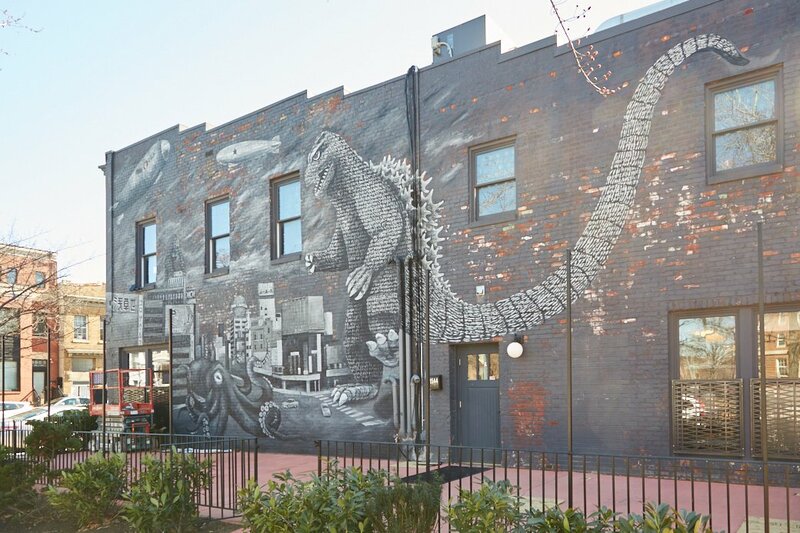 The 65-seat patio fits the theme with a flowering cherry blossom tree, a Godzilla-esque mural, and flip-up window to the bar. Drink margaritas outside of Clarendon’s new Mexican diner. Photo courtesy TTT. 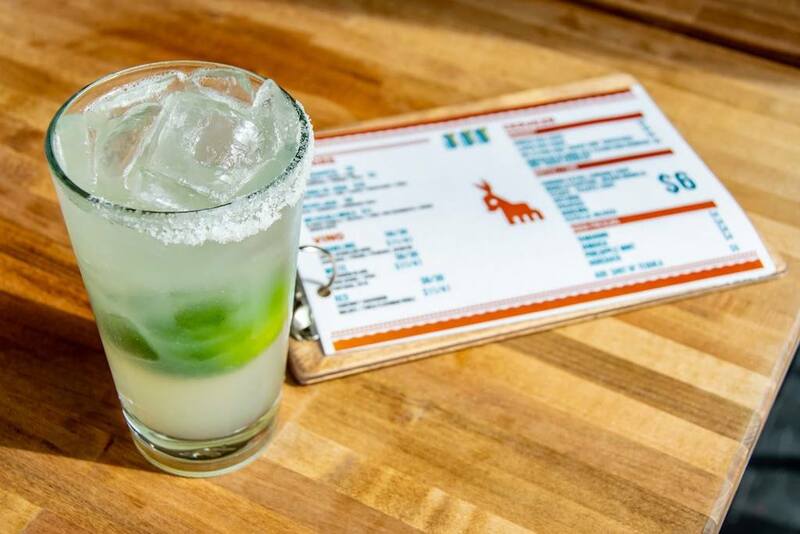 Grab margaritas and Mexico City-inspired street eats at this new Mexican diner, which on the outside has a cozy double-sided bar and 31-seat patio. Tacos go beyond the usual fillings—think homemade lamb chorizo or duck carnitas—which can be matched with cocktails like the “Ponte Frida” (silver rum, cinnamon, almond-coconut milk). Upstairs Buena Vida, which is more upscale, is slated to debut a massive rooftop cantina in the coming weeks.